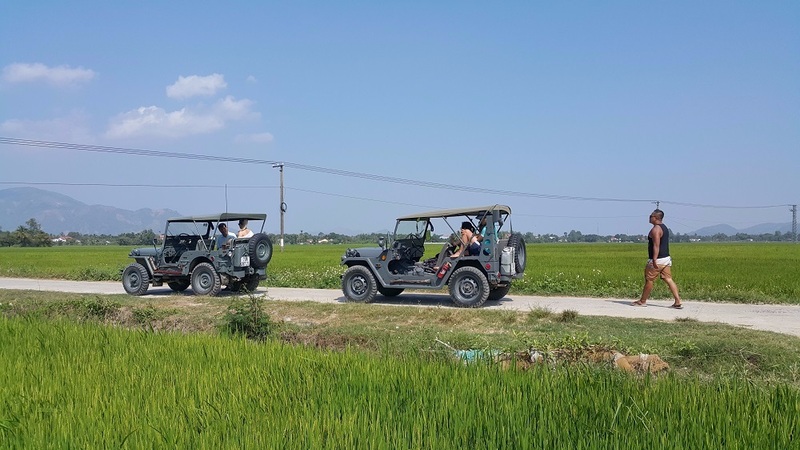 Our Jeep tours, covering most of land tour in and outside of Nha trang city, is the best way to see the real Vietnam and to enjoy your memorable moments at the most convenient time of day for you. The tour departs right at your hotel at several times throughout the morning and afternoon. Each Jeep holds up to 3 passengers plus the driver. A narrated tour by our experienced tour guides will bring to life the history of the land, point out the detail of local paradigm, enliven your tour with fun facts, wallow in romantic moments, and more. The tour is average priced from $30 to $75 per guest for a group of 2 up. Most tours are meal included, light refreshment free, and with no extra pay. Reservations are highly recommended, but not required. Guests who desire a tour without a reservation will be subject to availability. Booking is available by email at CONTACT column.